Before the 1970s, divorcing couples often had to provide legal justification to seek a divorce on fault-based grounds such as adultery, cruelty or abandonment. No-fault divorce provides a relatively uncomplicated means for couples to obtain a divorce by eliminating such requirements. Instead, many no-fault divorces proceed on the basis of "irreconcilable differences" or similar circumstances. No-fault statutes generally require couples to live separately for varying periods of time before seeking a divorce; however, obtaining a legal separation is generally not required. Many states impose waiting periods on couples before granting a no-fault divorce. Waiting periods vary from six months to as long as a year or two years. Waiting periods are designed to allow couples to make efforts to reconcile their marriages or to be certain that reconciliation is impossible. Individuals may still pursue no-fault divorce in situations where one spouse refuses to sign divorce papers; however the required waiting period may be longer than if both spouses agree to dissolve the marriage. 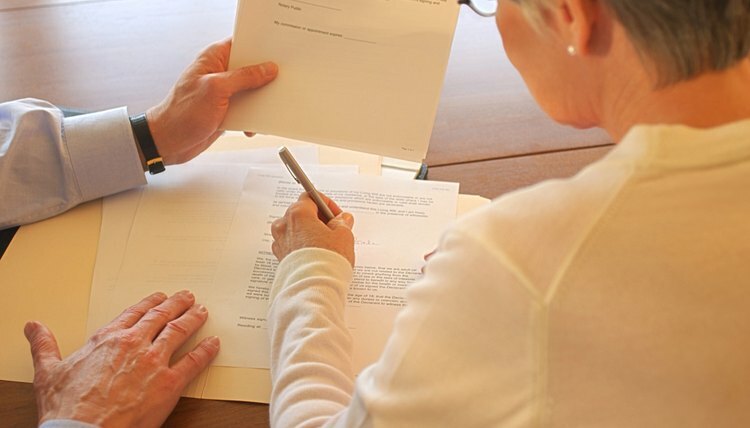 Many spouses attempt to stall the divorce process by refusing to negotiate a settlement agreement or refusing to sign divorce papers after previously agreeing on a settlement. If your spouse is stalling the divorce by skipping sessions or otherwise demonstrating an unwillingness to cooperate with the divorce processes, you may petition the court to impose a contempt citation on your spouse. In some cases you may receive compensation for the additional attorney and court fees you paid as a result of your spouse's stalling. In extreme cases you may obtain a default divorce, which means that a judge grants your divorce even though your spouse refused to appear in court or sign the divorce papers. Covenant marriages are designed to reduce the number of broken marriages by requiring counseling and imposing restrictions on obtaining a divorce. Couples must agree before tying the knot that they intend to enter into a covenant marriage and undergo counseling before obtaining a divorce. Although several states have pursued possible legislation concerning covenant marriage, as of 2011, only Arizona, Louisiana and Arkansas have laws on the books. If you are involved in a covenant marriage, you may find it difficult to obtain a no-fault divorce without enduring a lengthy waiting period, whether your spouse is cooperative or not. Total Divorce: Divorce Waiting Period: How Long Do I Have to Wait? Total Divorce: Can I Refuse Divorce? Is Counseling Required to Divorce in Georgia?